We are back again with another blog installment about Croatia - a safe heaven for the lovers of medieval European culture. This time, we are going to give you some general advice about what kind of trips you may embark on when you finally decide to go on a yacht cruise in Croatia - we will leave some links to our previous blog posts for more detailed information, but you will still be able to get a general understanding of what awaits you on your next yacht trip in Croatia. Dalmatian coast is full of tiny green islands - even if it’s completely possible to sail just to big cities along the coast, we strongly advise you to consider this route for your next Croatian yacht tour. Your journey will start in Split, and will take you through many encounters with local islands, that are scattered around the coastline. 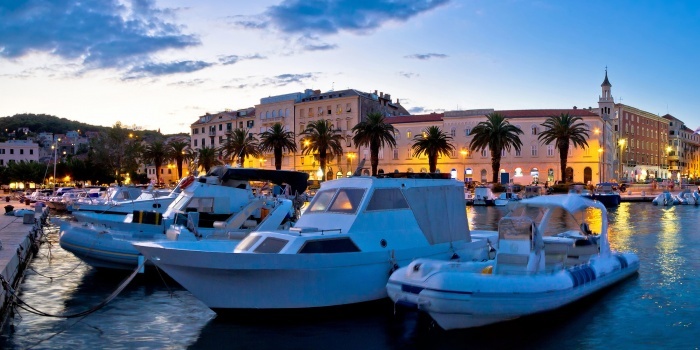 Apart from visiting quiet, almost unknown, islands, you will also have a chance to disembark in ordinary Croatian towns, where you will be able to experience an authentic local spirit. Your crew will be more than happy to help you and point out the best places to visit/restaurants to eat, so you can maximize the benefits of your Croatian island hopping to the maximum. 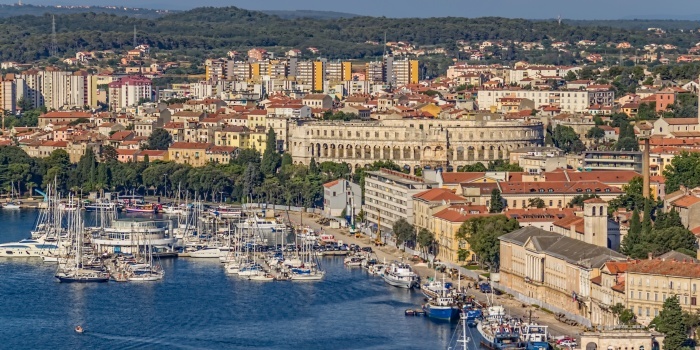 All the history buffs out there will be pleasantly surprised to find out that a yacht charter in Croatia can be both fun and educational. This specific route will take you through rich and beautiful historic sights of Croatia, full of castles and small villages. Besides the famous Arch of Triumph in the city of your departure, you will also be able to come across old chapels, a national park, an old cathedral and a bunch of pristine diving and snorkelling destinations - an even if you, for some weird reason, have forgotten your diving equipment at home, our crew will be happy to rent it out for you on board. Chartering a yacht in Croatia doesn’t always mean you should be staying on board the whole time - sometimes you just want to disembark and explore, enjoy and have fun on the firm ground. This route is ideal for those people who would prefer to spend a little more time ashore. The pinnacle of this itinerary is a 2 day visit to a Kornati National Park - an archipelago of 140-odd islands in the area. If you enjoy exploring a lush flora and fauna of the region as much as we do, you definitely can’t miss an opportunity to book this yacht charter in Croatia, and visit Kornati.